James Neiss/staff photographerNiagara Falls, NY - NOAH President Pastor David Wm. 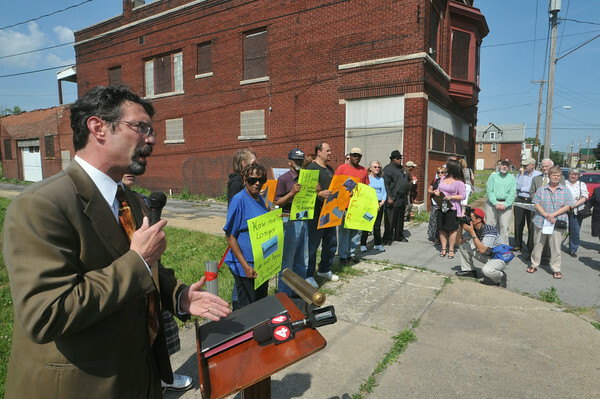 Crapnell speaks to supporters during a rally on Falls Street. Members of NOAH held a "mock" ribbon cutting ceremony to "honor" the accomplishments of Niagara Falls Redevelopment, the company that owns more than 400 parcels in the downtown area.